A bit of time off was what I needed. For over a year I had been working solid, often all night, on new products for Spyralle, not to mention a “day” job (as in Real Life), classes and volunteer commitments. I had some wonderful travel planned over the summer. So I planned a two month break after World Goth Fair, and then Life threw in a few major kickers, so I don’t know how long before Spyralle is back in the thick of everything. But in the meantime, there are a few events and occasions I could not say “No” to. And making things is good for the soul. So I made this jewelry set especially for Independence Day. 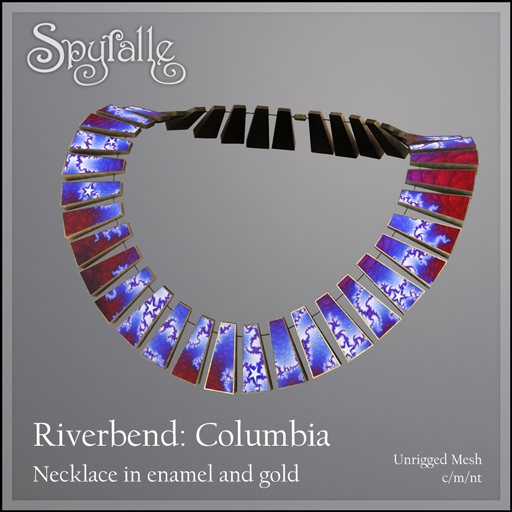 This set will be out at Spyralle this July 4 weekend for 60L Weekend (necklace and earrings sold separately), and then it will be gone. Maybe forever, maybe not; I have not decided. Here the Riverbend pattern is rendered in red, white and blue. It’s from the “5 branch” area of the Mandelbrot Set, so I added stars and moved the image around to feature the bursts that remind me of fireworks rather than the river. What an incredible couple of weeks we have had! I would have made this in rainbow colors, except I more or less do that all the time, so I went patriotic instead. Let’s celebrate! 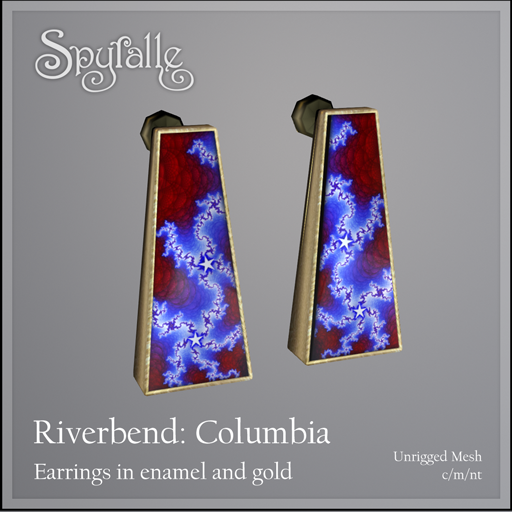 This entry was posted in New Release, Specials and Gifts and tagged fractal, Jewelry, Spyralle. Bookmark the permalink.